Transposition is the transferring of a given passage of music, interval by interval, to a different key or Clef. 1. Clef Transposition: A melody can be moved from one clef to another. This can be 1 or 2 octaves from the given melody above or below, or it can be transferred from one Clef to another at the same pitch. 2. Key Transposition: The whole passage or piece is moved from one key to another, interval by interval, corresponding to the construction of the given example. It may also be transferred from one clef to another as you change the key. If it starts in a Major Key, it will finish in a Major Key. If it starts in a Minor Key, it will finish in a Minor Key etc. Transposition is the changing of the pitch of the composition without altering the construction of the intervals. Each Interval MUST match the given Interval in accuracy, according to the Key of the original example. All accidentals MUST receive the correct attention to conform with the required key when the transposition is being made. Let's say we are playing a song in the key of C Major. Now we know that in C Major the notes are C - D - E - F - G - A - B (no sharps or flats). After playing with it a few times we realize that the key is too low. We need to raise it a little. Let's try transposing it up to the key of D Major which is one whole tone (2 semitones) higher than C Major. We will use semitones as it is less confusing when you are learning. Here we go ..... C major to D major. There you have it. You have transposed from C Major to D Major. ( C - D - E - F - G - A - B ) to ( D - E - F# - G - A - B - C# ). Try other examples for yourself. If you are unsure of the accuracy of your transposition you can check it out in the Scales chart. Staccato is the opposite. It means short and detached and definitely not smooth. When using Mezzo, strike the note as if playing a scale with the same finger for each note, lifting in time to strike the next note with the same finger. When using Dot, strike the note with an even 'see-saw' wrist movement or action lifting for 2 and sounding for 2. When using Dash, use a brisk 'pull-off' type of action as if flicking the dust off hot keys. This will give 1 count on and 3 counts off. A slur is a symbol placed over or under a series of notes. It indicates that the notes are to be played without separation. This implies legato which is playing a passage smoothly. The notes are different pitches and can be different types. A slur can extend over two or several notes at a time, sometimes encompassing several bars of music. Bowed string instruments: indicates the notes should be played in one bow. Wind instruments: indicates that the notes should be played without using the tongue to re-articulate each note. Guitar music: indicates that the notes should be played without plucking the individual strings, i.e. slides, hammer-ons and pull-offs. 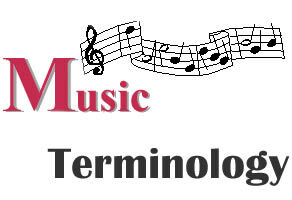 In vocal music, slurs are usually used to mark notes which are sung to a single syllable. A slur is denoted with a curved line generally placed over the notes if the stems point downward, and under them if the stems point upwards. The tie is a curved line that links two notes of the same pitch to show that their durations are to be added together. Enharmonic change (alteration) means that the alphabetical name of the note is changed on an instrument but the key on the instrument is retained. For example, each key on a piano can have 3 distinct names with one exception which can only have 2 (G# - A♭). The reason for that is because G# or A♭ are sandwiched between two other black keys. With no extra space, there is no room for another name. Ok, let's look at all the notes in the scale. If you have a keyboard handy, try this exercise for yourself. Modulation means the transition of changing from one key to another, usually in the middle of a piece of music. This may or may not be accompanied by a change in key signature. There are a number of rules and considerations to take into account so that the transition from one key to the other is as smooth as possible. The following is an excerpt from 'The Guitar Handbook' by Ralph Denyer. This is his introduction to the concept of modulation. He goes on with a detailed and concise explanation about modulation using primary chords and secondary chords along with and a very handy chart-application encompassing all keys. Every major key is closely related to two other major keys. Only one note in their scale differs each time. These two other keys begin on the sub-dominant (4th) and dominant (5th) notes of the original key. Take the key of C major as an example: the two keys closest to it are F major and G major. F is the 4th note in the scale of C major, and G is the 5th. Only one note in the scale of F major differs from that of C major - B♭. And only one note in the scale of G major differs - F#. If you are a serious guitarist and want to know everything there is to know about a 'guitar', this book is definitely worth a look at. Accent is stress or emphasis on certain notes. When the accent is moved to a weak beat, syncopation is formed. Syncopation is the placing of a regular accent formed according to the given time signature onto a normally unaccented beat or part of a beat. When we use syncopation, the accents are altered. This tends to define different styles of music. For example, in reggae music (quadruple time) the strong accent is placed on the second beat rather than the first beat, giving you that distinctive reggae sound. A Tetrachord is a series of 4 notes in alphabetical order consisting of 2 tones and 1 semitone. The tones occur between the 1st - 2nd, and 2nd - 3rd notes. The semitone is between the 3rd - 4th note. The Lower Tetrachord commences on the Tonic and ends on the Subdominant.